WITH THIS HOW TO WRITE A NOVEL MUG, YOU CAN MAKE YOUR AUTHOR FRIENDS LIGHT UP WITH DELIGHT! 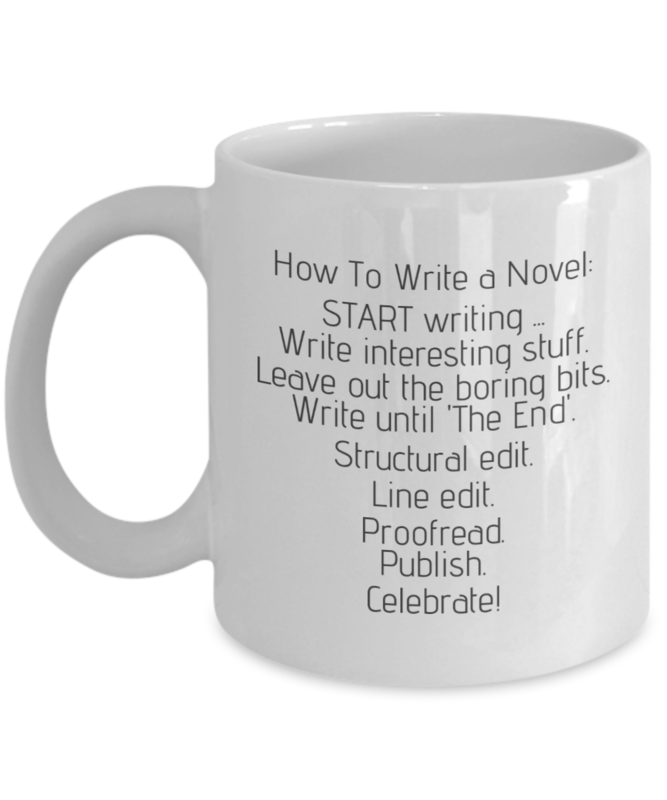 If you’re looking for a gift that a writer will actually use and enjoy for years to come, then check out the How to Write a Novel mug! THE ONLY AUTHORIZED SELLER OF THIS DISCO MUG IS SCOTT DESIGNS. SCOTT DESIGNS DELIVERS THE HIGHEST QUALITY NOVELTY MUG. Our 11 oz. mugs are made from the highest grade ceramic, and the designs are printed and sublimated in the United States. SCOTT DESIGNS MUGS ARE DISHWASHER AND MICROWAVE SAFE. IT’S BOUND TO BECOME A FAVORITE MUG. So what are you waiting for? 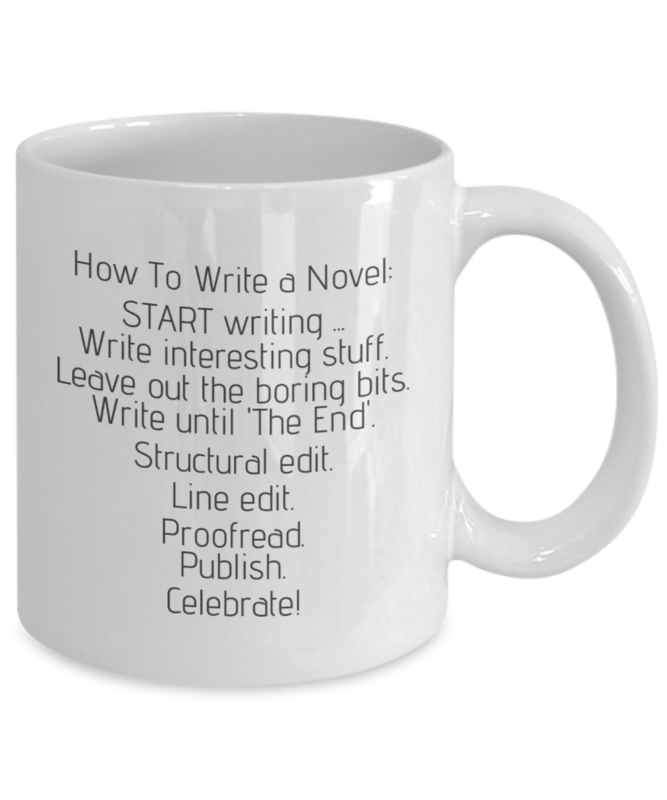 Click the “Add-to-cart” button and get your How to Write a Novel mug while supplies last.